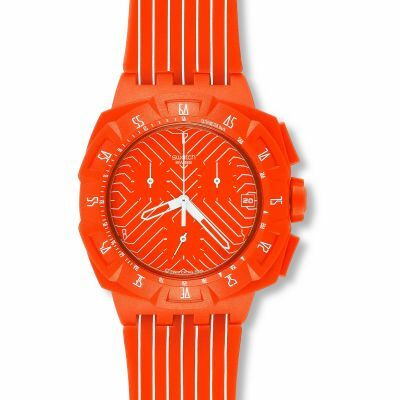 A funky mens chronograph watch featuring date, and black casing with bright orange rubber strap. 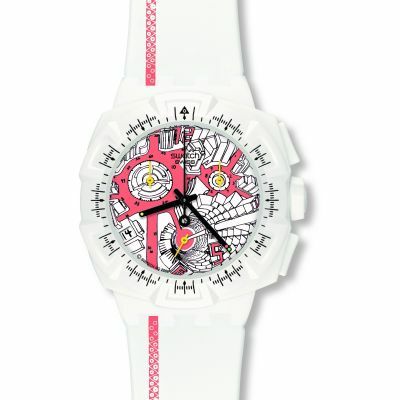 This watch is excellent to look and very stylish. I got this watch for my husband who normally loves to wear stylich watches. It lookes excellent on him. Features of the watches are fantactic, exciting and easy to handle. 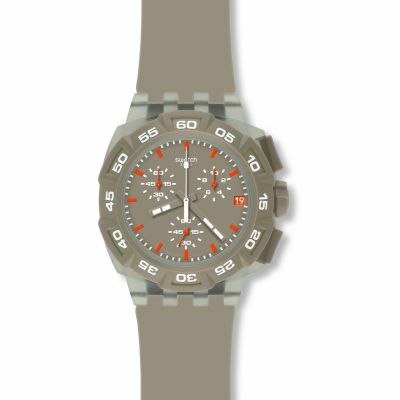 I would strongly recommend this watch for Guys who love to us Stylish stuff. This the second Swatch Skin I have owned - possibly the most comfortable watch to wear! Ultra thin, good quality and very pretty I would recommend any of the Swatch Skin styles. I got this for my boyfriend for his birthday and he loved it! 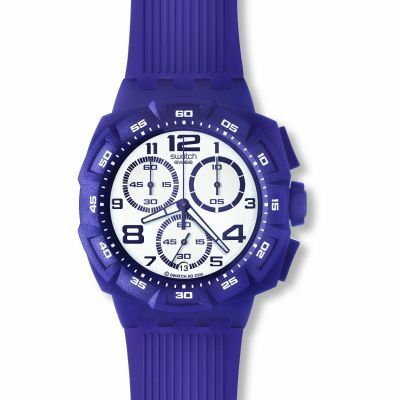 Its a really nice size and the colour is really cool, definitely a great buy! Cracking watch, bright, fun and very light despite the size, I hardly know it's on my wrist. All backed up with Swatch's reputation for quality and reliability, what more could you want?